Preserving fruit was an Easterton industry from the time when old Sam Saunders decided, in his old age, to be a fruit farmer and preserver towards the end of the nineteenth century. One of his employees, Samuel Moore, took over where Mr Saunders left off and turned what was more a cottage industry into a thriving business in the early years of the twentieth century. Samuel Moore’s sons, Wilfrid and Billy continued the business into the 1970s at which point the firm was sold to a large company who continued to trade under the Samuel Moore Foods name. With further takeovers, the factory at Easterton became a small part of a very large organisation. Access was difficult and, although the business was trading at a profit, the factory was closed. 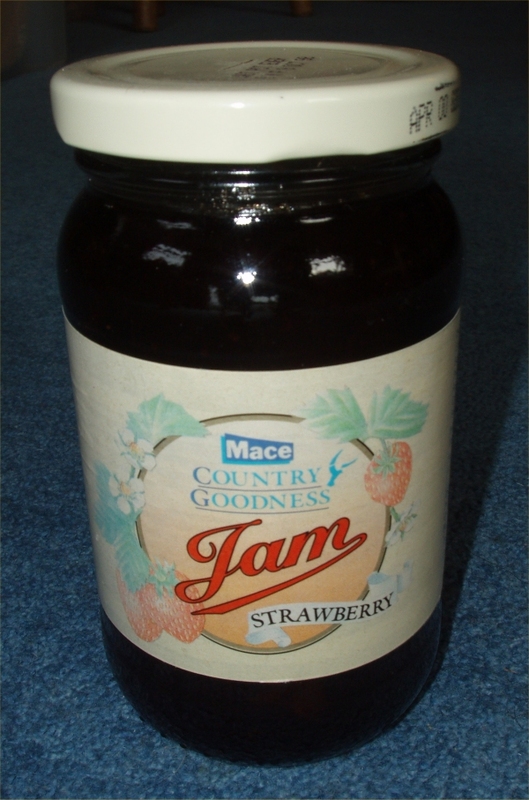 The last pot of jam completed its journey along the production line on October 9th 1998. This jar was especially labelled and then kept by the floor manager at the time and it has recently been given to Market Lavington Museum. The pictures show the final pot of jam. The final pot of jam came off the production line at easterton. It was intended to be sold at a Mace store but it never got there. 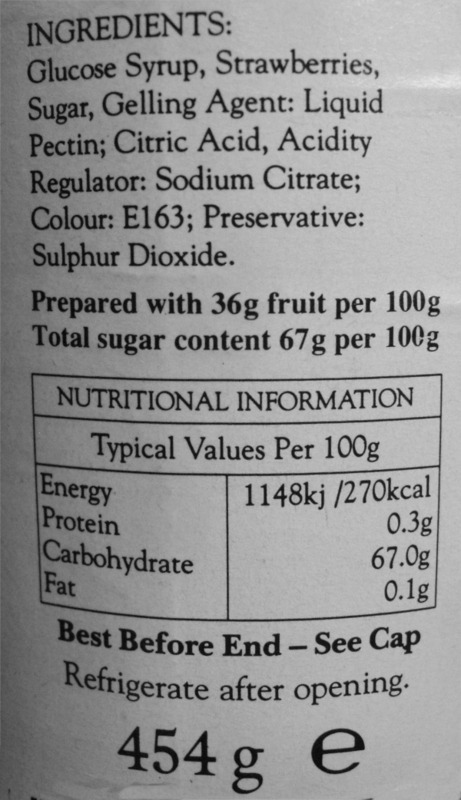 The 'use by' date. Sadly the jam is already 11 years out of date. The final jar lid was specially printed - 'LAST POT EVER S M F 9 OCT 98'. S M F is for Samuel Moore Foods. This entry was posted on April 8, 2011 at 5:19 am and is filed under Museum. You can follow any responses to this entry through the RSS 2.0 feed. You can leave a response, or trackback from your own site.